In July 2018, our company successfully completed the first stage in a major project on development of the "Adaptive Planning and Production Scheduling System for MS-21 Aggregate and Final Assembly Line Based on Multi-Agent Technology" for Irkut Corporation. 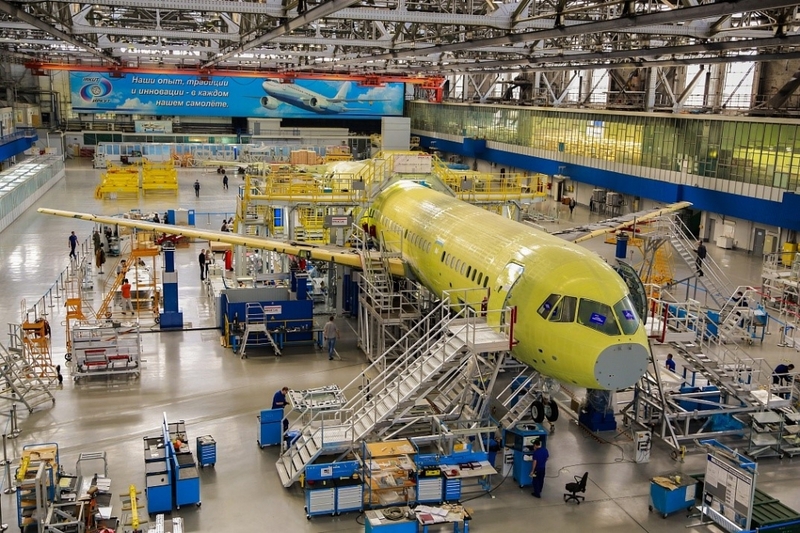 Irkut Corporation is the leading aircraft construction company in Russia, which provides complete solutions in military and civil aircraft design, testing, manufacture, marketing, sales, and after-sales support. Within the first stage of the project, our company developed a subsystem for integrated planning and modeling. - visualization and evaluation of the influence of random events and deviations on the nomenclature plan of the aggregate and final assembly shops via the simulator of the production process. - recalculation of the production schedule. * - At present Irkut Corporation is working on a new Russian passenger plane MS-21 ("Mainline plane of the XXI century"). This is the first liner made entirely according to the Western standards, taking into account the worldwide trends and real demand in the market. MS-21 is a project of a family of short- and medium-haul jet passenger narrow-body airliners. It is designed to fly over distances of about 6 thousand kilometers and is created as a replacement for the Tupolev Tu-154 and Tu-204/214 aircrafts, as well as for the foreign airplanes Airbus A320, Boeing 737 and others. MS-21 can provide a qualitatively new level of comfort for passengers due to the largest fuselage diameter in the class of narrow-body aircrafts. Thanks to this unique solution, the personal space of each passenger is significantly expanded. Moreover, airlines can enjoy a reduction in turnover time at airports.